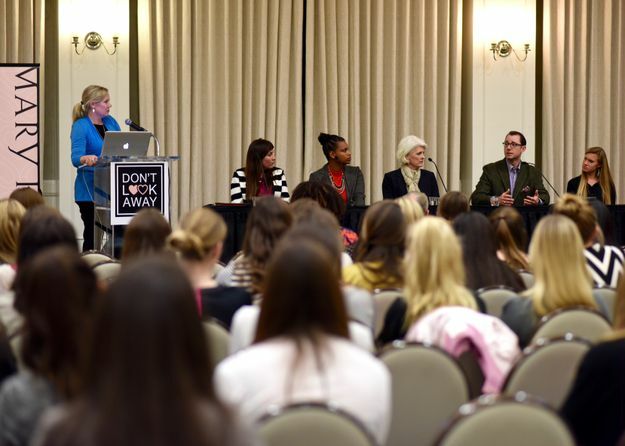 As part of Dating Violence Awareness Month, hundreds of college students and community members gathered at Southern Methodist University for a Healthy Relationships Forum presented by Mary Kay Inc. and SMU Alpha Chi Omega. During the forum, SMU Alumna and sexual assault survivor Monika Korra shared her powerful story of survivorship and recovery. Following Monika’s remarks, Katie Ray-Jones, CEO of the National Domestic Violence Hotline, moderated a discussion featuring domestic violence experts, advocates and survivors. 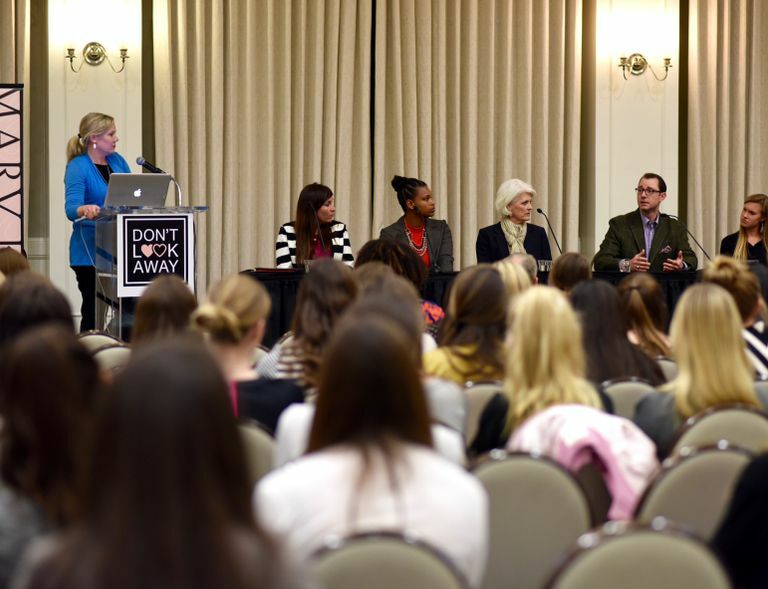 DALLAS – Feb. 22, 2016 – As part of Dating Violence Awareness Month, hundreds of college students and community members gathered at Southern Methodist University for a Healthy Relationships Forum presented by Mary Kay Inc. and SMU Alpha Chi Omega. During the forum, SMU Alumna and sexual assault survivor Monika Korra shared her powerful story of survivorship and recovery. Following Monika’s remarks, Katie Ray-Jones, CEO of the National Domestic Violence Hotline, moderated a discussion featuring domestic violence experts, advocates and survivors. Panel members, including representatives from Mary Kay, loveisrespect, Genesis Women’s Shelter & Support and Alpha Chi Omega, discussed topics such as support for survivors, fighting assault on college campuses and the role of technology in dating violence. After a question and answer session with the panelists, attendees visited resource tables to gather more information about on-campus resources. Monika Korra also spoke with attendees while signing copies of her new book, Kill the Silence: A Survivor’s Life Reclaimed.